Virtual-On Force was released today in Japan and other Asian regions. Two versions were released, the expected standard and a special “Memorial Box” edition. Released in celebration of the series 15th anniversary, the Memorial Box contains a copy of the game, six CDs covering the music from the series and a 140 page artwork booklet spanning the series’ 15 year history. The game is region free and in English and is easily obtainable in any online import retailer, such as Play Asia or NCS. It is unknown whether it is going to get a release outside of Japan and is highly unlikely to get this box even if it is released. Hit the jump to watch legendary SEGA composer Takenobu Mitsuyoshi unbox the limited edition as well as check out the complete list of achievements. According to a post on Virtual On Force’s official blog, translated by Mecha Damashii, the game will be localised in the English language when it is released this month in Japan and other Asian regions. Most surprisingly, the game will not have any regional locks, meaning it can be played on an Xbox 360 console from any region in the world. This is excellent news, as the game has yet to be announced for release in the West. SEGA had a very large presence at the Tokyo Game Show this year, regarded by many as their biggest since becoming a third party publisher even. As this would all clutter up the front page of the site, I feel it is best to move them all together. Hit the jump to learn more about their announcements, see many of their new trailers and learn about their future plans. 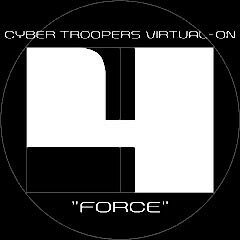 SEGA’s countdown has ended to reveal the first console release of Virtual-On Force, originally a 2001 arcade title. The site is just a developer blog (fully in Japanese), but AndriaSang explains that the first post talks about the decision to make the game a retail release and not for the Xbox Live Arcade (like the prequel Virtual-On: Oratorio Tangram was) was because the 15th anniversary of the series is this year, and the lead designer wants to release something the fans can keep forever. Virtual-On: Force is the first and only release in the series with four player combat, this release will also support online functions, a ‘Mission Mode’ and will be an Xbox 360 exclusive. It is expected to be released around the holiday season in Japan, with no word if the title will come anywhere else at the moment, but we will keep you updated.